The Brinkley School DistrictBoard of Directors adopted a resolution on January 31, 2017, in support of the superintendent, Dr. Debbie Goodwin, presenting an appeal to the Arkansas State Board of Education for 4 waivers of certain regulations governing Arkansas Schools. The board noted in the resolution thatthe Brinkley School district seeks the opportunity to individualize educational settings to create more personalized learning for all students and provide real life opportunities to help students determine career paths. Waivers of certain state laws and administrative rules will allow the Brinkley School District to provide the aforementioned personalized learning opportunities for its students. The Brinkley School District recognizes the success of schools utilizing the Correlates of Effective Schools as a guide for School Improvement Issues, and that Setting High Expectations for Students, Creating Opportunities for Effective Instructional Leadership and FrequentMonitoring of Student Progress are paramount in the efforts to improve school culture. 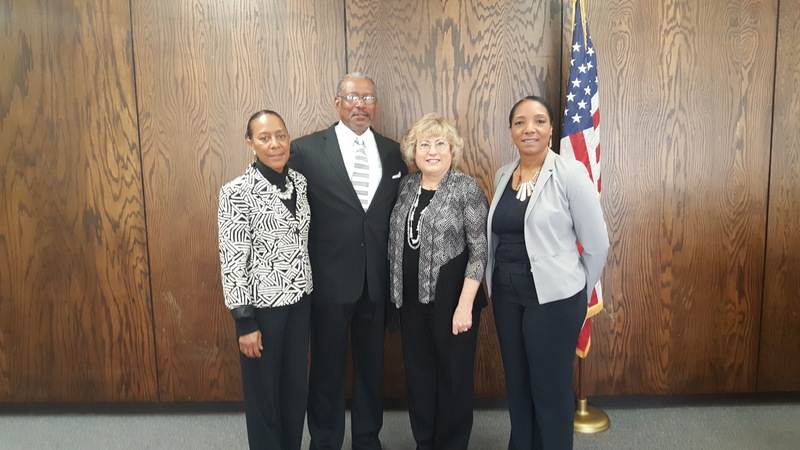 On March 9, 2015, Dr. Goodwin, Ms. Brenda Poole, School Improvement Specialist for the Brinkley School District, Mr. Oscar Conyears, President of the Brinkley School District Board of Directors, and Mrs. Gloria Conyears, community representative, appeared before the Arkansas State Board of Education and presented an appeal for 4 waivers. The first waiver, Teacher Certification, will allow the Brinkley School District to hire qualified and knowledgeable people to fill teaching positions when needed. The second waiver will allow the Brinkley School District to hire a qualified and knowledgeable person as library media specialist who is working on, but has not finished the certification process to fill that position. The third waiver, Length of School Day, will allow the district to provide time for teachers to collaborate on teaching, learning, and assessment practices. The fourth waiver, In the Seat Learning Time, will allow the high school to set up a program for the 2017-2018 school year which will allow the Brinkley Juniors to attend East Arkansas Community College, or another vocational facility, during the school day in order obtain both a high school diploma and a career certification, such as welding, at the same time. The 2019 graduates of Brinkley High School will have the opportunity to graduate with a high school diploma and a certification for a career. The 2018 seniors will have the opportunity during next school year to be involved in working at a job, or completing an internship with a local employer during the school day. The Arkansas Board of Education Unanimously approved the district waiver requests for the Brinkley School District on March 9, 2017.